MagTek is one of the main manufacturers of electronic devices and systems for the transmission and security of cards, PIN checks and other identification documents. 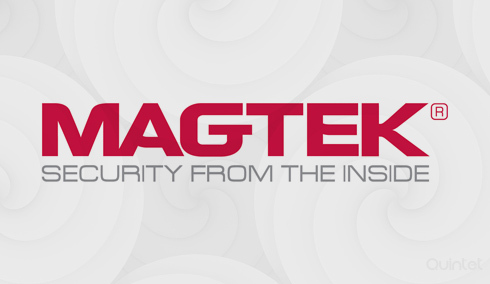 MagTek has been evolving itself over a period of time, reinventing itself and making the new generation of security centered products secured by MagneSafe. Its products are used worldwide by various retailers, law agencies, hotels, financial institutions and other organizations to provide secure and efficient electronic payments. Many Businesses around the world rely on MagTek’s secure card reader authenticators (SCRA’s). With just a single swipe MagTek’s SCRA’s can capture data and they have flexible options for customers. Magnasafe SCRAs provide dynamic card authentication and encryption of data to protect your customers from id theft and fraud. Magnasafe SCRAs is able to identify fake and counterfeit cards easily. You can now produce a personalized debit, credit and gift card and verify pin transactions. With MagTek, you card issuance and PIN management transactions are very secure. Not only that , it is fast, reliable and cost effective. Depending on your business it is flexible and scalable to meet your demands both today and tomorrow. MagTek solutions offer the most comprehensive security thats possible. MagTek’s pin encrypting devices provide trustworthy security solutions, which are reliable and trusted by customers. MagTek’s PIN encrypting devices offer the best in security solutions. They are easy to use over a variety of configurations. MagTek’s DynaPro and IPAD series offer the most secure PIN solution in the market delivering instant encryption and device authentication. MagTek PIN devices exceed PCI PED regulations and the point of encryption starts from the point of swipe. Millions of cheque’s are processed every day with MagTek’s Small Document Scanners. For Financial institutions and retailers of different sizes MagTek’s scanners are flexible and accurate. It has advanced features including integrated secure card reader authenticators and color scanning. MagTek’s small document scanners fit the needs of a huge range of electronic check applications. Our team is real quick in integrating the Magtek library into apps and reading the data from it. We integrate Magtek SDK in applications for Magtek devices such as iDynamo, DynaPro Mini BLE, DynaPro Mini 30-PIN and audio jack readers under iOS and devices such as BulleT, Dynamag, IPAD, DynaPro, DynaPro Min and audio jack readers under Android. Any updates on Magtek SDK are incorporated in the versions we build. Sony's Fourth generation smartwatch joins Google's Android Wear initiative, adding GPS and local music playback to its features.Quintet Solutions offers offshore developers for Sony's SmartWatch 3 based on Android Wear to develop advanced apps using it's additional features. Just a swipe of finger and you will be going through your texts, emails, chats etc. and every notification your already installed apps pass on to your watch. It can gather information which can be used for authentication and security and developers in our team can get your apps ready for Samsung Gear Live. Moto 360 is the Motorola's initial entry into the era of smart watches. The heart of Moto 360 is Android Wear. Quintet Solutions offers offshore developers for Moto 360 to develop applications running on Moto 360, extending functionalities of apps already present on Android devices to Moto 360. BlackBerry is one of the most successful smartphone platforms which is best known as benchmark for its security standards. Our developers here at Quintet can develop blackberry applications that will optimize your business functioning. LG G watch is LG's entry into the futuristic Android Wear world and it runs with any device installed with Android 4.3 or higher versions. Here we offer offshore developers to develop applications and watch faces for G Watch helping you to get the most this device has to offer. ASUS ZenWatch is the first wearable from ASUS and this watch attracts health and fitness enthusiasts. Our Android Wear developers are developing ASUS ZenWatch apps using Android Wear SDK. We can come up with exceptional user interfaces, user integration and friendly user navigation. Amazon Cloudwatch is a monitoring service for Amazon Cloud resources and the applications you run on AWS. You can now track metrics, monitor log files and set alarms. Quintet provides support for Amazon CloudWatch Desktop/Server management. Infinite Peripherals is a group of hardware add-ons that can be integrated to iPhone/iPad devices. These peripherals help iOS devices to do more functions which it cannot do by itself. Quintet can help you integrate Peripherals with applications which we make for iOS devices. Nexus Player is a simple designed box for streaming content with Google Cast built in. Enjoy movies, games and more on the big screen. We at Quintet will help you develop Apps which will be supported by nexus player providing gamepad support for it.